* Mariell's 1 3/4" h x 3/4" w Cubic Zirconia earrings have a gorgeous mosaic pattern of pears & baby marquise framed by micro pave CZ. * Our delicate silver rhodium plated earrings add sparkle & glamour to weddings, proms, pageants, homecomings or bridesmaids. 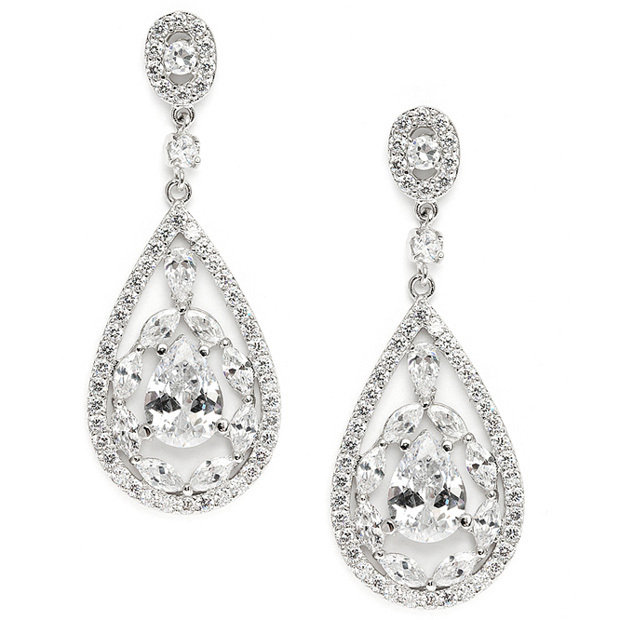 * The brilliance of these delicate silver rhodium plated earrings has to be seen in person to believe.